ALAN Shearer has indicated he is ready to take the manager’s job at Newcastle United if it is offered to him by the club’s new owners as he prepares to bid farewell to the comfort of the television studio. Shearer has always maintained he would not consider working for the club’s present owner Mike Ashley following the way his former boss and friend Kevin Keegan was forced out by the two-tiered management structure which took the signing of players out of his sphere of influence. But the former United captain (pictured right) would be happy to talk to the people who eventually replace Ashley’s regime at St James’s Park after indicating to friends he is ready to take up the challenge of management. 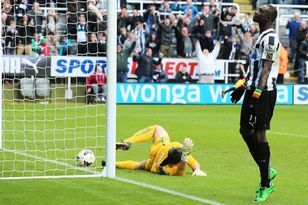 However, Shearer will undoubtedly have some stiff competition for the job, with Newcastle’s interim manager Joe Kinnear also interested in taking the job on a permanent basis, even though he admitted last weekend that the 2-2 draw against Wigan could have been his last home game before a takeover is completed. Although Shearer has not had any direct contact with the two American consortiums who have expressed an interest in taking over the club, both are aware of his standing on Tyneside and would almost certainly have him on their managerial shortlist. could be right for him to return to day-to-day involvement in the game. Indeed, those close to the club’s record goalscorer have suggested he may well have taken the manager’s job had it been offered to him in January when the Magpies sacked Sam Allardyce and appointed Keegan. However, while Shearer would give any offer serious consideration, he will also want assurances he will be able to manage the club in the strictest sense of the word. Like his former foe, Roy Keane, Shearer wants to be able to guide the team without interference from the boardroom and he will want to make sure the new owners understand that before he agrees to take the job. While he has taken a break from the game to work in television and on various charity initiatives, Shearer has also seen contemporaries like Keane, Gareth Southgate, Paul Ince and Tony Adams take their first steps as Premier League managers. Although the 38-year-old has no managerial experience – unlike another Geordie candidate Steve Bruce who was unsubtle in his attempt to put his name forward for the job following Wigan’s 2-2 draw at St James’s Park last weekend – he is still worshipped on Tyneside and would arguably be given more time than anyone other than Keegan to build something special. Like Keane, his reputation as a player would also stand him in good stead when it comes to attracting big name players, while he is the sort of internationally-renowned marquee name which would appeal to foreign owners who want to raise the club’s profile in the lucrative overseas market. Meanwhile, United midfielder Joey Barton will not play again this year after a scan confirmed he had damaged ligaments in his knee following a heavy challenge from Wigan’s former Middlesbrough midfielder Lee Cattermole. But, while Kinnear admitted the loss of the combative Barton is a big blow to a small squad, he believes Danny Guthrie is the ideal replacement. He said: “Our medical staff think he will be out for eight weeks.